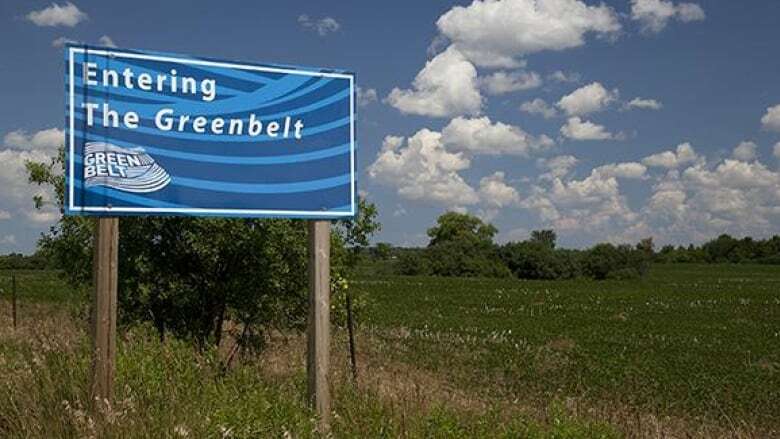 Ontario will not move forward with a controversial element of proposed legislation that could have opened up the province's protected Greenbelt to development. municipalities that would have allowed them under some circumstances to override certain laws, including those that safeguard the Greenbelt. 3/3 However, our Government for the People has listened to the concerns raised by MPPs, municipalities and stakeholders with regards to Schedule 10 of Bill 66 and when the legislature returns in February, we will not proceed with Schedule 10 of the Bill. "The use of this tool would never be approved at the expense of the Greenbelt or other provincial interests like water quality or public health and safety," Clark said in a tweet. "However, our Government for the People has listened to the concerns raised by MPPs, municipalities and stakeholders with regards to Schedule 10 of Bill 66 and when the legislature returns in February, we will not proceed with Schedule 10 of the Bill." NDP climate change critic Peter Tabuns said the Ford government's plan would have allowed the Greenbelt to be "swiss-cheesed" by developers. "By working together, concerned people and groups — including municipalities, environmental advocates, agricultural organizations and the Official Opposition — have been successful in holding off Ford's attack on the Greenbelt," Tabuns said. "People were clear during the election," he said. "And they have been clear since Bill 66 was introduced: the people of Ontario want to protect the Greenbelt and clean water."